The next free Challenge starts May 24, 2019! A PCOS Diet Plan That Gets Results! “At my heaviest I was 260 lbs and I have now reached my goal weight of 150 lbs! Following Kym’s plan and doing the 30 Day Challenge is the best decision anyone with PCOS can make. “Before I met Kym in 2016 I was hopelessly overwhelmed by my PCOS. 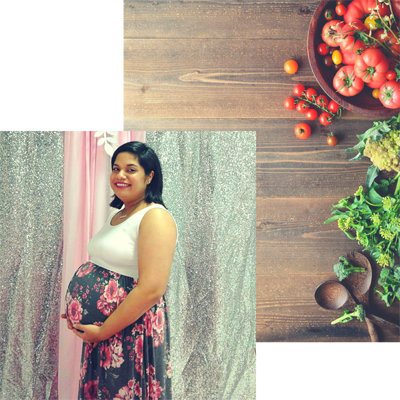 After completing the 30 Day PCOS Diet Challenge I began ovulating on my own again and I became pregnant on the first cycle we tried! “I joined Kym’s Challenge in November, and started applying what I learned. By January I was getting a regular cycle, by April I had lost 50 pounds, and by July I was 13 weeks pregnant!! My A1C levels have dropped out of diabetic range, and my blood pressure is out of the hypertensive range. I sleep much better, and don’t feel as groggy during the day. My hair has also thickened up and I now have less unwanted hair on my chin and upper lip. “After doing my first Challenge (after years of never ovulating) I ovulated on my own, started losing weight, had energy, felt different… Felt alive again. Eight months later after sticking with the diet I fell pregnant naturally. Beyond shocked!! I’m dying for July 8th to get here so I can meet my baby girl. Kym I’m beyond grateful that you start something so amazing for us all. Thank you so much for your guidance and support. “Today marked a huge day for me because I have kept up with the diet I learned about during the Challenge and have now officially lost over 50 lbs. I have tried everything before and never have I lost anywhere near this amount. I still have a ways to go but this Challenge has given me so much hope and confidence. 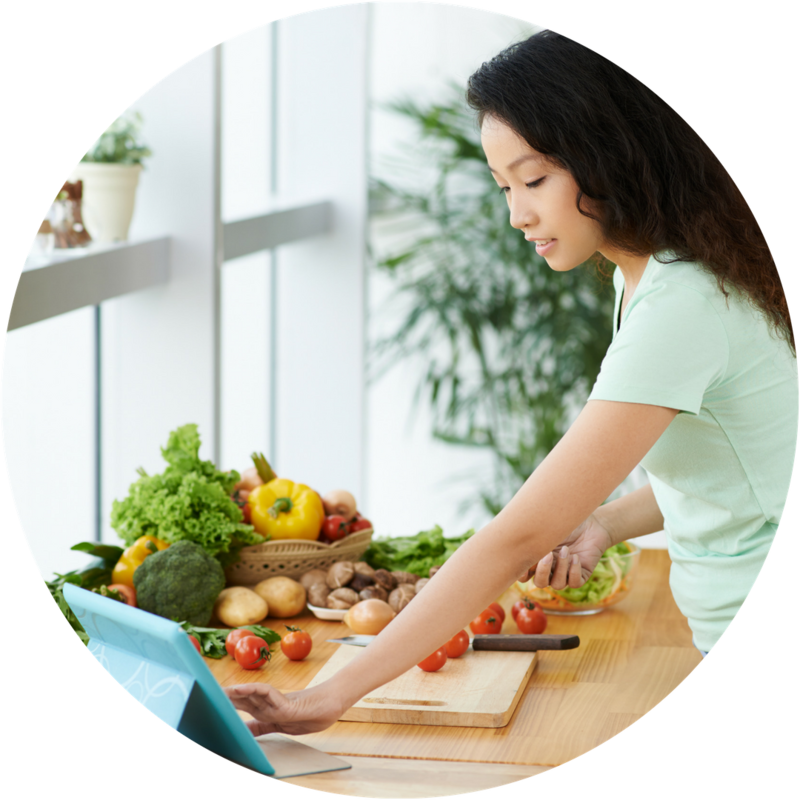 During the first 9 days of the PCOS Challenge you’ll receive a series of nutritional video lessons packed full of evidence based information. 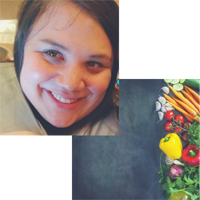 These lessons will help you make better food choices when implementing a PCOS diet that you can sustain over the long term. I’ll also be giving you daily challenges to set you up for success for the rest of the 30 days. The majority of western breakfasts are terrible for women with PCOS so in Week 2 you’ll start your new PCOS diet plan with a unique breakfast menu that will support rather than hinder your recovery from this disorder. My PCOS friendly breakfast meal plans will have you feeling fuller for longer, and will decrease your cravings for unhelpful foods. 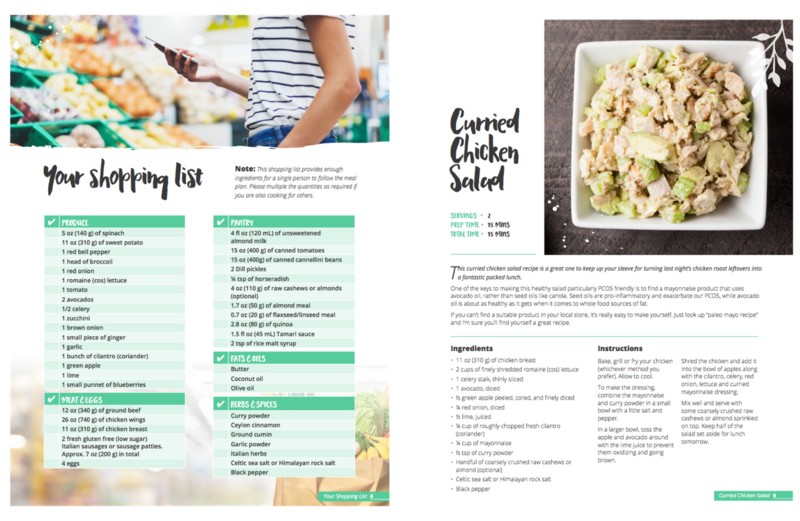 These meal plans and PCOS recipes come as a downloadable PDF that you can keep and continue to use long after the PCOS Challenge ends. During Week 3, you’ll keep going with your new breakfast regime but step things up by also having dinners made from all the best foods for PCOS. 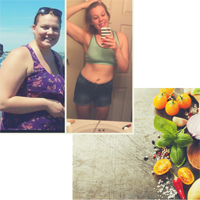 One of the things you’ll love about my meal plans is that they’ve proven to be the best diet for PCOS weight loss (see the testimonials section) but you don’t need to worry about counting calories. 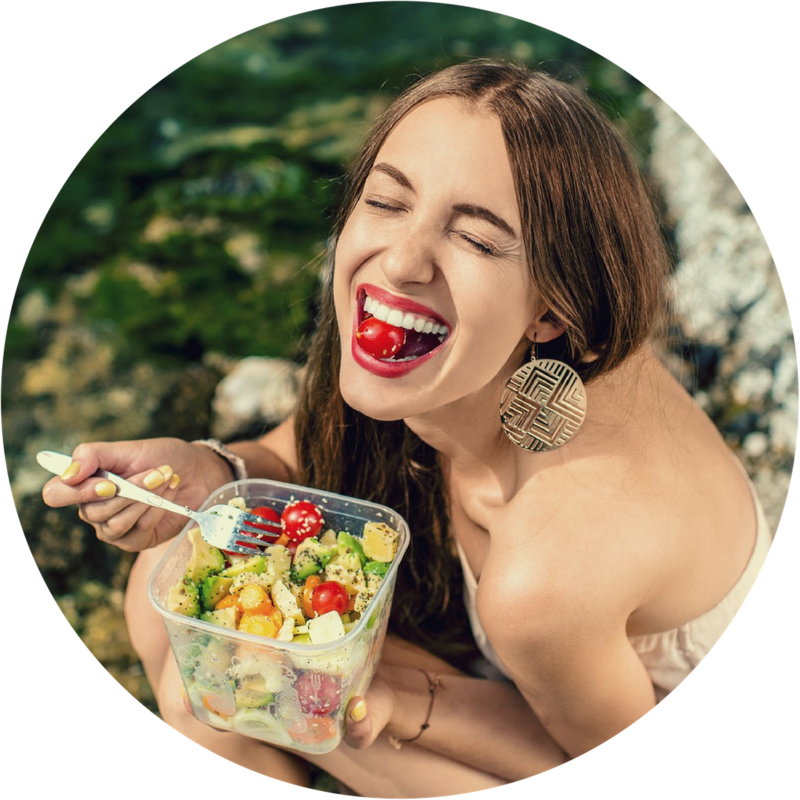 After having become accustomed to both starting and finishing your daily meals the right way, in Week 4 you’ll add lunch to your new PCOS diet. Nothing is going to treat your symptoms better than completing the 30 Day Challenge with 7 days of eating nothing but the best foods for PCOS. Week 4 is a real confidence booster for many people, as this is often when you can start to experience the power of a true PCOS treatment diet. Join our unique group of 35,000 and growing! What types of foods will the PCOS meals include? A quick summary of the food principles that make up the meal plans include eating as many nutrient dense whole foods as possible, especially vegetables and fitting in lots of animal protein and good fats. 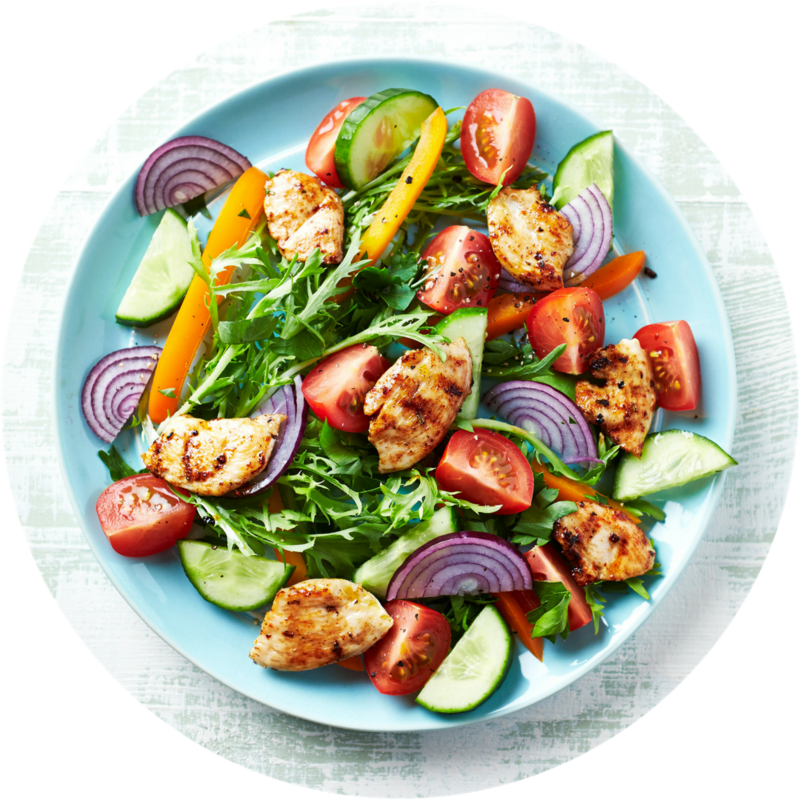 The PCOS meal plans are also low carb and low GI making this Challenge a perfect place to start if you’re looking for a low carb diet for PCOS. What types of foods will each PCOS meal plan exclude? In your diet plan over the 30 days we will be intentionally avoiding gluten (wheat), dairy products, sugar, and high GI carbohydrates like potatoes, rice, pasta, breads, and breakfast cereal. While food intolerances and allergies are unique for everyone, eliminating these foods strikes the right balance between simplicity and efficacy against PCOS, as well as trying to make the Challenge achievable for as many people as possible. Will the meal plans suit vegetarians and vegans? While I would absolutely love to support vegetarians and vegans (I was one myself for over ten years), advising how to obtain complete and sufficient nutrition on these types of diets is very complex. I’m not saying it can’t be done without meat, it’s just unfortunately too much information to fit into only 30 days. In the PCOS diet plan provided in the Challenge I recommend the regular consumption of meat as part of your long term recovery from this disorder. Eating unprocessed meat is the simplest and most effective way to ensure we get all the nutrients we need to treat PCOS and the scientific evidence supporting this is just too strong to pass up. Unfortunately, the PCOS meal plans do not include snacks as these are of relatively less priority than the main meals I’ve provided. I do however have a $5 Challenge Companion Guide that includes 17 PCOS friendly snack recipes, 13 PCOS friendly drink recipes, and a fresh fruit guide that tells you everything you need to know to really get the most from the Challenge. Is this a PCOS diet plan for weight loss? 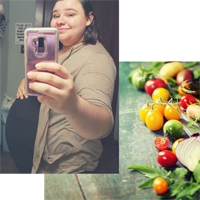 The main goal of this Challenge is for people to manage their PCOS symptoms – and weight loss is certainly one of the most common outcomes. If you’re looking for the best diet for PCOS weight loss then you’ll also love the video lessons as these provide you with the core food principles you need to achieve sustainable and meaningful long term results. Click here to see some of the inspiring weight loss results from previous Challenge participants. What about if I have thin-type PCOS or I don’t want to lose weight? I have thin-type PCOS myself so trust me when I say that the Challenge is equally applicable to you regardless of your body weight. Restoring a healthy hormone balance is just as important for women that are lean as it is for those with the more classical type of PCOS. You don’t need to worry about losing too much weight if you’re already a healthy body weight as you’ll still be eating a full intake of calories – it’s just that the composition of these calories will be more PCOS friendly. Is this PCOS diet plan designed to help me get pregnant? Absolutely! If you’re looking for the best PCOS fertility diet then you’ve come to the right place! By following the same meal plan and food principles that I give you during the Challenge I was able to fall pregnant naturally after years of failed IVF treatments. You can read more about my story here. While it’s likely to take a little longer than 30 days to perfectly regulate your cycle (it took me many years) this PCOS diet plan will give you the kick start you need to get pregnant. 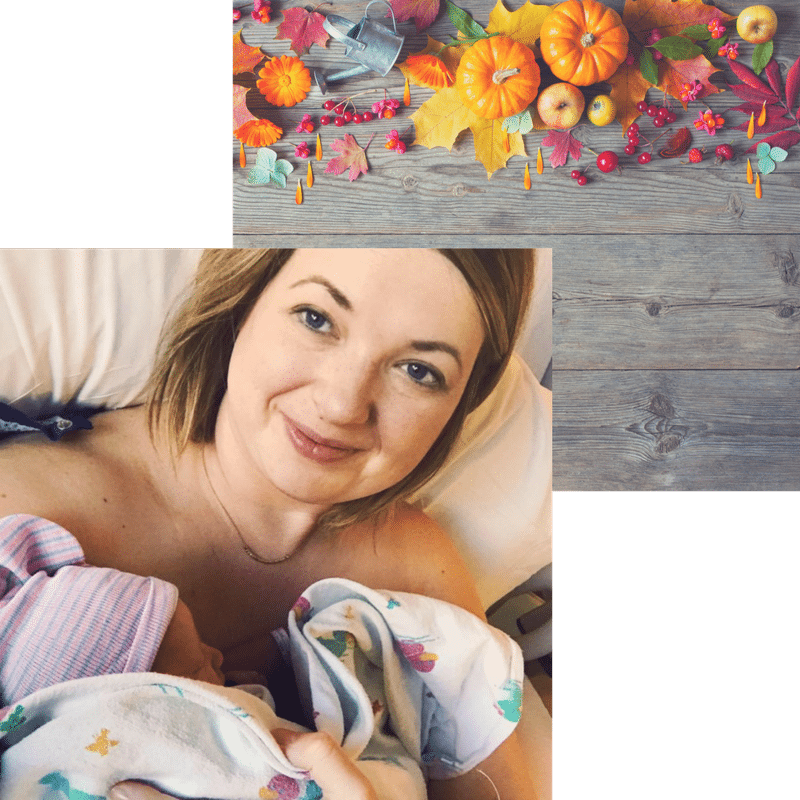 I’m breastfeeding, can I still follow this meal plan? If you stayed within your doctor’s recommended weight gain during pregnancy, you may need to increase your daily energy intake by up to 500 calories while breastfeeding. This will mean increasing the portion sizes prescribed in the meal plans by approximately a quarter while keeping the same macronutrient percentages where you can. For example you don’t want your extra 500 calories to come only from carbs. 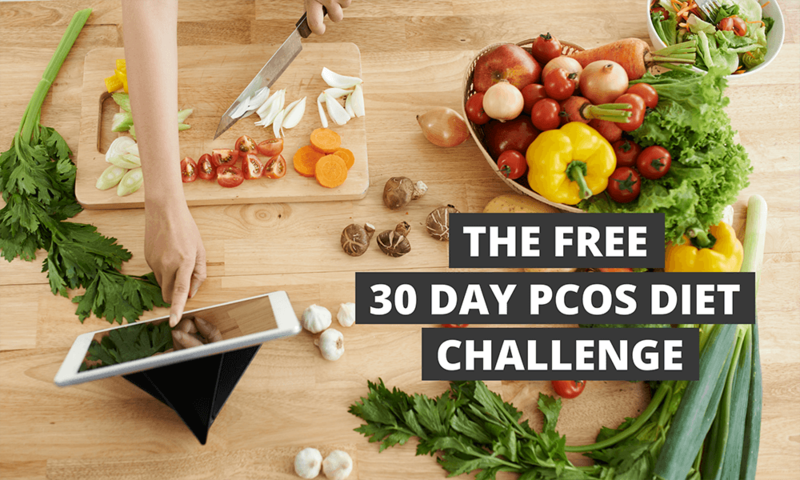 I have chosen the quickest and easiest PCOS recipes I could for this Challenge because I know how busy you are! Also by adding just one meal to the Challenge each week, the meal plans are structured to let you warm up to the Challenge rather than throwing you in the deep end of making 3 PCOS friendly meals per day all at once and totally overwhelming you. What if I am a picky eater and might not like the recipes? I’m unashamedly a picky eater so I totally understand that you need to have plenty of food choices. That’s why I’ve made all the PCOS recipes versatile by suggesting alternative ingredients if you don’t like my first option. Since you’ll also be learning about the food principles that are best for PCOS you will also be able to find your own recipes if you need to using your newfound knowledge. I did the last Challenge, am I signed up for the next one automatically? You will need to re-sign up for the Challenge if you have done it in the past and want to do it again. I’ve signed up late, how do I catch up? If you signed up after the Challenge has started you will have received an email telling you how you can catch up. When do we get our first shopping list? The first nine days are nutrition video lessons only. I’ll be sending out the first shopping list that you need five days before the meals start on Day 4 of the Challenge.